Today’s Beginner to Blogger interview is with Todd Kunsman, founder of the blog Invested Wallet. The blog is focused on personal finance and investing for beginners as well as covering my journey. Todd saw that many of the popular bloggers had massive portfolios or were retired, but the ones in the trenches seemed to be somewhat ignored. Todd wants to help inspire those who don’t make big salaries, haven’t saved a lot, and just don’t know where to start. In fall of 2014, I was tired of feeling stuck in a mediocre job, living paycheck to paycheck, and generally not understanding investing. Right when I was starting to take an interest, I was let go from my job not long before Christmas. But… it was exactly what I needed. Since then, I’ve really revolutionized my finances, but I still have a lot of work to do. Oh man, I made a lot of mistakes. I actually recently wrote about the personal finance mistakes I made, but now do not regret. I think one great obstacle I had was not following exactly what everyone does. This means a cubicle 9-5, being comfortable with a mediocre career and salary, and buying a new car. That’s what most people did and what a lot of my friends did. When getting fired, I realized I can create my own path by learning, which I did with marketing and investing. That led me to better career options with much higher pay. This then allowed me to pay down debt faster, save a lot more money to invest, and escape the 9-5 cube life as I now work remotely. Even though I’m very good about spending, I still tend to spend a bit on going out to eat and trying new restaurants. It’s fun to do so and occasionally is not a problem, but I definitely have spent a lot doing this. One goal for the new year is to limit myself a bit more, which I think has already started. This can help keep some even more money in my pockets and my credit card free. 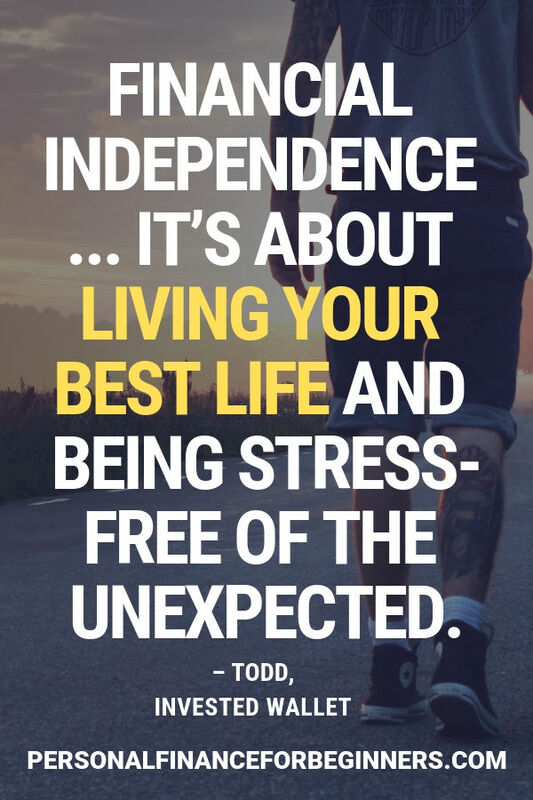 Financial independence means a lot of things, but to me, it’s about living your best life and being stress-free of the unexpected. We all worry about money, paying bills, and not saving. Being financially independent to me means, you have enough saved that an unexpected bill or job loss won’t scare you. But it’s also about being able to have more freedoms to do things, experience things, without being tied to a job for 40+ years. There is a whole story I could put here, but I’ll keep it more simple. My career has dramatically changed since that day I lost my job. I’ve learned and developed my marketing career to the next level. This allowed me to work with many great companies, be happy in what I’m doing, and make a much better salary that I can still grow in. It’s also opened the side hustle door because I’ve created Invested Wallet as a business and potential financial asset. None of the above would have been happening had I not started looking at my personal finances. First: Be patient because even though you may feel stuck at first, it’s early in your career. Absorb as much as you can. Second: Don’t get too complacent with the work you are doing if you are unhappy. I stayed too long, even when I knew I wanted to do more or get more out of my career. If you start feeling that way, don’t be afraid to work on your skills and apply to something better. That money is about being able to buy more fancy things. That’s the mindset that can make you broke and quick. Look at some athletes and well-known celebrities who end up bankrupt or owning a lot of money. Money should be about freedom to you, being able to live life on your terms, not about how much power or material things you have. Not worrying about the fluctuation of the stock markets as much. I still check in pretty much daily, but I don’t make rash decisions with my investments like I did in the beginning. I’m sure that cost me some money back then. Instead, I know continue to invest no matter what. Something called Dollar-Cost Averaging. Ah, Mexican food. I could go nuts on a great Mexican restaurant and then buy food to go. It is my weakness. 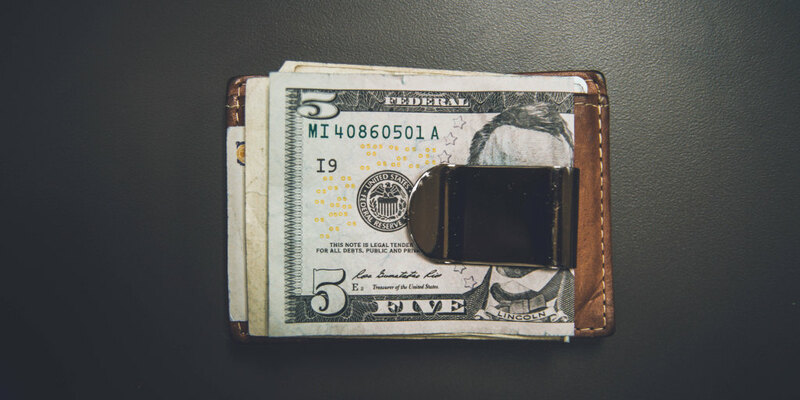 There are a lot of great books out there related to finances and investing, but there is one I think is good to start with: Rich Dad, Poor Dad. I don’t necessarily agree with every little statement, but it opened my eyes a bit to money, assets, and work. It’s also easy to understand and is not a long read. Highly recommended. So, I actually had a music blog that I started in 2010 and ran some companies blogs too. So I was not exactly new to the game. Plus, I work in marketing for a start-up full-time and I know I have some skills to help grow my own. But I also love talking about personal finance and investing, so here we are! I also wanted to create a side hustle that could passively make some money and maybe be even something bigger in the future. It’s been a lot of work and will be as it is still not even a year old yet. But, it’s a lot of fun and exciting too. I would keep, Financial Freedom is Not About Money, It’s About Living Your Best Life. I think the message just resonates really well, shows my philosophy on money, and was one of my more popular posts to date.